When ego gets ahead of our mindfulness, we can find ourselves in a place of anxiety, judgement, comparison, jealousy, irritability, and all-around frustration. It’s easy in this era of constant screen-time and social media feed-scrolling to get thrown into a funk and further away from our selves. Adhering to a busy schedule while balancing relationships and our careers can be overwhelming, especially around the Holidays. What I love about modern times more than anything is the rise of positive thinking and self-care in the media, social media, and all over the internet. Bloggers post about ways to consume healthier foods for not just our bodies but the environment. Clothing companies make graphic tee’s with positive quotes on them. The media has gotten to be more body-positive and focused in health and wellness rather than idolizing one specific body type. Fitness studios, workout apps, fitspo Instagram accounts, healthy recipe blogs, meditation apps; all things wellness have gotten to be everywhere. As inspiring and motivating this era is, it too can be daunting and intimidating when information is flooding out of every single sign, screen and clothing line. Too much of anything is just overwhelming after a while. The only thing that cannot be applied to this law, is gratitude. Not the kind you see all over Instagram written in really cute free-hand script quotes. Not the kind you have to post to prove. Not the cute journal at Anthropologie that has the word artfully scripted on the front. It’s the kind that you feel in your heart when you have a genuine moment with a stranger and for an instant, you realize that so many good people exist out there and you think “thank you” for that. It’s the moment you realize that a quote appeared, or a song lyric, or unexpected words heard in passing that you needed to hear, and you think: “thank you” for that. It’s when you realize that people show up for you in your life, important and irreplaceable people, when you need them the most and they never ask for anything in return. It’s that sigh of relief when things worked out in ways that you couldn’t have planned or schemed, and you think “thank you” to whomever your higher power is, or maybe just to yourself. Often times, gratitude is felt in the mundane and unimportant moments and before we know it, we’re on to the next moment. We move so fast in this life. Time is the fabric of our lives and like frantic sewing machines, we are so quick to move to the next big milestone. If only we knew that the moment held every piece of possible happiness we could ever ask for. The moment holds all of the power. Our lives are happening in the here and now. Not tomorrow, not last week. We plan feverishly for warmer weather, for when our pant size is smaller, for when the kids move out, when we retire, when we can buy that property… it goes on. And yet, all of our power and control only lies in the now. Gratitude makes the present moment beautiful. Anxiety is put to rest with large doses of gratitude. Problems are dwarfed when gratitude is applied. MORE things to be grateful for start to pop up everywhere and multiply because your attention is turned to them. People around you become more lovable in your eyes because your attention is turned to their attributes instead of their shortcomings. Your perspectives about situations can shift just from choosing to see the good, just from practicing gratitude. Be in the moment. This means, give yourself a break from all distractions. If social media and it’s constant (false) highlight reel cause distraction for you, unplug from it. You don’t have to post everything you experience. Some of the most precious moments and experiences await you, and your presence is all that is needed, not approval of others from posting. Give presence to the present. Literally, be all “there” wherever you are. If you are cooking, actually focus on the tasks at hand. If you are in a meeting or at coffee with a friend, be present and stay present. Thoughts will pop up, temptations to pick up your phone will too. Avoid these and keep practicing. Take responsibility for what you see around you! If you see mostly frustrations, set backs, annoyances and things that make you anxious, you need to change your lenses. Your perception needs a big SHIFT. Train yourself to see (naturally and foremost) the good. Example: “I’m so grateful that I have the ability to perform tasks on my own without anyone’s assistance. I am able to go wherever I want or need to, at my own will. I have access to transportation. I have family who love me. I know at least one person who I can confide in, and who I trust wholly”, etc. In order to assist yourself in the last tip, and to make thinking positively come more naturally to you: Keep a Gratitude Journal. In my opinion, and in my experience, this changes my life. This is a private and personal journal you’ll keep, and daily you will fill it with a list of specifics that you are grateful for. I like to do this in the morning so it sets the stage for my day. An example looks like, “I am grateful today for Abigal. She is a reliable and giving person who I am learning from every day and whom I cherish my time with. I am so happy she’s in my life.” Be specific! It’s more than “I am grateful for my car.” Its: “I am grateful for my car which gets me wherever I need to go, reliably, and has plenty of room to carry me and my pup.” This shifts your thinking, and on a deeper level, it shifts your neuron paths so that they’re firing down different pathways; pathways of gratitude. If you’re someone who is anxious and jumps to the worst possible outcome in your brain, that means your neurons have adapted to those pathways whenever a trigger presents itself. You have to retrain yourself, one step at a time, before this becomes natural. The journal can help as a concrete exercise. Talking to others in a grateful tone. Saying “thank you” often, and with presence, can make you instantly feel good. Writing thank-you cards, notes and messages to people for even the little things can make those around you feel appreciated, and makes you feel good. Replacing “I’m sorry” with “thank you”. For instance, instead of “I’m sorry I am late”, change it to “Thank you for waiting for me”. This shifts your tone into a grateful tone, instead of a sorry tone. The way you speak is just as important as how you think. Think of what happened today that you’re grateful for, when you’re about to fall asleep. If you pray, or even if you don’t, you can take one moment right before you doze off to list what went right today in your head. This leaves the whole day off on a lighter, more positive note instead of thinking of your to-do list for tomorrow or any regrets. Since this is the Holiday to be Thankful, I thought this post was more than appropriate, but much-needed. Gratitude changes everything. I hope you find lots of usefulness and some good tips to adopt here, and have a wonderful Holiday! As you know by now, convenience + grab n’ go + delicious = I’m in. This recipe has ALL of that. It is moist + SO delicious, the perfect amount of sweetness, and makes for a great snack on the go or a filling breakfast. When the temperatures drop, I crave more filling foods in the worst way. I wanted to modify a traditional recipe with some ways to make it lighter and not so carb-heavy, as well as gluten free (you can see my modifications to actually make this vegan as well). Get cozy, get a candle burning and get ready for this simple and quick go-to recipe. Grease a 9” x 5” baking dish with coconut oil and set aside. Add dry ingredients ( GF flour blend, baking powder, baking soda, sea salt) into a large mixing bowl and sift. Mash the bananas with a fork until completely blended in a smoothie-like consistency. Add melted coconut oil and sugar to banana blend and cream together. Add vanilla, maple syrup, almond milk and the egg to this mixture and blend well. Pour the blend over the dry ingredients and blend together well. Pour the mixture into the baking dish and smooth over. Place into the preheated oven for 50 minutes or until a tooth pick inserted into the center comes out clean. These are THE BEST pumpkin bread/ muffins I have ever had. The fact that they’re healthy seems hard to believe. They’re gooey , hearty and taste like fall (like how I avoided the M word?). They’re easy to make, too, and will last you all week. I love to have food like this prepared for a grab-n-go in the morning before running out to a class or work. Preheat oven to 350 degrees and lightly grease a muffin pan with coconut oil spray. Beat two eggs into mixing bowl. Add banana and mash/stir to combine together with egg mixture. Add pumpkin purée, brown sugar, maple syrup, olive oil, and vanilla extract and whisk for one minute. Stir in baking soda, salt, cinnamon, and pumpkin pie spice, and mix. Add water and whisk once more. Add almond meal, gluten-free oats, and gluten-free oat flour blend and stir until just combined. The batter should be thick and scoopable. Quickly rinse your mixing bowl and then add crumble ingredients. Mash ingredients together with a fork or your hands until crumbly like wet sand. Generously top muffins with mixture. Bake for 27-32 minutes or until tops are golden brown and a toothpick or knife comes out completely clean. Let cool for 5 minutes in muffin tin before setting on cooling rack. I am a SUCKER for the easiest recipes, ever. It's a real bonus if you can eat on-the-go, which is why I love bananas, RX bars, healthy muffins, and smoothies. The more versatile the snack, the more likely it will work with my always-running-around lifestyle. Overnight Oats have been a big craze for some time now in the world of wellness blogs but I never gave them a chance since oatmeal and oats have always made me feel bogged down and I crash pretty bad from a carb-heavy breakfast. 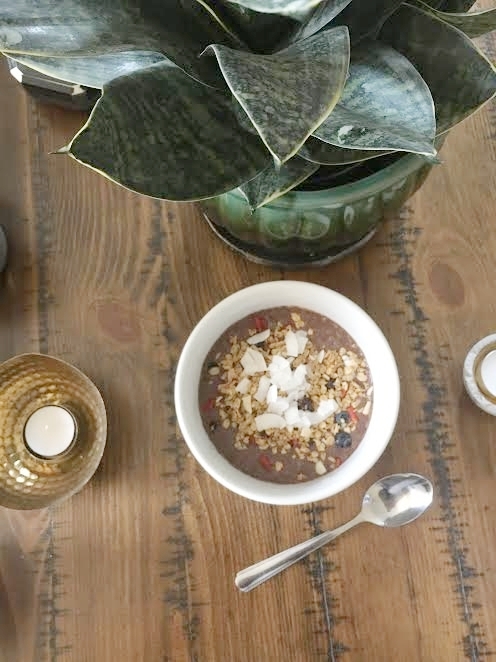 My version of overnight oats doesn't include dairy OR gluten in the ingredients, which makes it vegan-friendly and safe for anyone who has a gluten allergy. + GET CREATIVE: chia, flaxseed, hempseeds; whatever you want can be added to the overnight oat blend and will set into the mix. + Stir together and enjoy! I LOVE sweets. I am always looking for new ways to make what I love (Starbucks blueberry muffin- SO good) but with a healthier spin on it. Using what I've learned from the detox program that we completed this spring at CHCF, I mostly avoid gluten and dairy since both of them exhaust me and bloat me. I did include eggs in this recipe, but I avoided milk and butter and opted for maple syrup instead of sugar. It took me three different tries but I finally found a really good recipe that I LOVE. These make a great grab-and-go option for breakfast and are filling & delicious. 2. Place paper liner cups in muffin baking sheet. 3. Combine all dry ingredients in a large bowl (almond flour, oat flour, salt, baking powder) and sift. 4. Combine melted coconut oil (heat in pan or run coconut oil jar under hot water), maple syrup, and vanilla extract into a separate bowl and whisk. Beat in 2 large eggs until fluffy. 5. Pour mixture over top of the dry ingredients and mix. Add almond milk in, and continue to stir until smooth. 6. Fold blueberries into the batter, with a rubber spatula, careful not to crush the berries. 7. Spoon the batter into prepared muffin cups. Fill each cup 2/3 of the way full. 8. Pop into the oven and bake for 25 minutes. You can insert a cake tester, or fork, into the center of a muffin to make sure no batter is uncooked. 9. Remove from oven and allow to cool for 10 minutes before removing! You spend half of your life asleep, but are you really reaping the benefits? When restful and healthy, our sleep cycles allow us to balance our moods, be more energized and productive during our time awake, digest food properly and faster (your metabolism is linked to your sleep! ), and so much more. But when thrown off, your sleep cycle can wreak havoc on your moods, causing anxiety and added stress. Your lack of restful sleep can slow down your metabolism and cause unhealthy cravings of sugar and refined carbohydrates to strike. Needless to say, it can burden your adrenal glands and throw off your hormonal balance. It's even safe to say, the root of some of our most common health concerns are caused by a lack of restful and healthy sleep. But how can we change this? How can we make sure we are making the most of the time in our beds, and set the rest of our lives on track? - UNPLUG: Yes. Exactly what you probably assumed I would begin with; your phone and electronics are a big cause of restless sleep and the inability to fall asleep. The blue light from our devices triggers our brains to be awake and alert, and it's short wavelengths affect melatonin production. Blue light is shown in studies conducted over the course of almost 20 (!) years to be suppressive to our body's natural production of melatonin, which sets our circadian clock (the inner clock that tells us when it's time to fall asleep, and balances our sleep between REM and deep sleep phases)*. Those who read with a light-producing device before bed (Nook, iPad, iPhone, etc) were shown to have a harder time falling asleep and less time spent in REM phase. They also were shown to have a harder time waking up and were much more groggy and unrested in the morning. The fix? Plug your phone in to a charger across the room for you to avoid being on it at least 1 hour before your bed time. Read a traditional book rather than an iPad or other device. Remember that life is happening NOW, and while technology can be a wonderful tool, it can stop us from being present. Make time every day without your phone, especially in the evenings before bed. - Avoid working out 2 hours before bed. You want to allow your body to become rested and ready to wind down. When you perform strenuous activity or exercise, your body is in an overly-stimulated state and this will make it harder to fall asleep. - Take Magnesium an hour or 2 before heading to bed. This supplement is wonderful for relaxation! It helps to relax and relieve our muscles, and creates a sense of calm. - Don't eat a big meal right before bed. Eating before bed, especially eating a lot, send blood flow and energy to our digestive system in order to properly digest. It SOUNDS like this should really help us fall asleep, since our brain functions slow down while we digest a big meal leaving us feeling lethargic and needing a nap. But the opposite is true. Eating before bed causes your blood sugar to rise (a rush of energy) and spike, before you even wake up. This interrupts your sleep cycle, or circadian rhythm. The fix? Prepare your meal early, or prep the day before/morning of so that you can eat dinner earlier and have a restful, more beneficial night of sleep. - Exercise! Cultivate a workout routine for yourself where you are hitting your favorite classes, going on walks and runs, and sweating regularly. As long as it's not right before your bed time, this will naturally cause your body to be ready for a night of sleep and rest. - Stay hydrated throughout the day, night just right before bed. Forgetting to drink a proper intake of water during the day can mean we chug to catch up at night. This results in waking up during our sleep to use the bathroom. Try to make sure you are hydrating all day long so that this doesn't affect your z's. - Lavender oil! Mix this into a bath before bed, or rub a tiny bit into the skin behind your ears and your temples. Lavender oil is a naturally relaxing, calming scent that lowers your heart rate and reduces anxiety. "Studies have shown that the compounds found in Lavender inhibit several neurotransmitters and have a sedative and pain-relieving effect", according to ScienceFocus.com. A flatter tummy and glowing skin! Our program will provide you with 3 group sessions and weekly support emails with our favorite nutritionist, Health & Well! Renee is a certified Health Coach with a deep understanding of our individual nutritional needs, and will be providing her expertise and support every step of the way. Throughout this time, you will receive an easy-to-follow outline of energy-boosting, nutritious and anti-inflammatory beauty foods to help you feel your best, a variety of easy and healthy recipes, meal examples, and much much more! 15 classes come with this program! On April 1st your classes will be available to you (or you can schedule them out once purchased) for 6 weeks. We encourage you to come to class and mix it up! Take a Full Body Class to trick your body into different toning movements, or try a Barre class! This program comes with 7 Fresh Juices selected by you on April 1st, and can be picked up at the studio during your class schedule! The juices will aid you in taking in nutrients, minerals and vitamins to give you energy and give your digestive system a much-needed break. It's a fresh start to get you glowing! $280 gets you all of this and more for 6 Weeks. Jump start your body and nutrition, receive emails to assist you in your program, group meetings with Renee and fresh pressed juices. Designed as a post-Holiday cleansing period but really, more of a blueprint for life. We broke down what was the most important to (most of) us into 3 categories: Body, Fuel, and Mind (or spirit). When we have been treating our bodies well, getting enough sleep, sweating it out regularly and eating mindfully; we feel our best and we have energy. When we're not, things seem to snowball and it doesn't take long to realize you've been neglecting one of these 3 categories. The Rise Up challenge is a 31 day Mind and Body challenge. The requirements, or goals, were sent out in an email to all of our Cycle Fitness fam and we have a list of awesome go-getters who are taking the challenge. BUT, this doesn't mean you can't go for it starting now. It also doesn't mean if you can't reach ONE of the goals that you shouldn't strive for ANY of the challenge. Be easy on yourself, you're human after all. You can take 10 classes this month, do your best with the Eating Clean portion of the challenge, and be more Mindful than you've ever been before and then you're already improving upon your life. We have a tendency, as humans in our society, to be absolutists. "If I this doesn't fit into my schedule, I won't go at all", "If I can't complete part of this, I don't see the point", etc... This ends up actually being a huge deterrent to making major changes in your life that would lead to more overall happiness. You don't have to be 100%. You can be 63% and it's better than nothing! Sweat MORE. Sweating is a detox for your skin, your blood and your body! It's GOOD for you. Our goal this month is to complete 20 classes at CHCF (out of 31 days! ), but if you can't do that then sweat on your own schedule 20 times this month! Eat cleaner food options and be mindful about what you're eating. The Holiday's throw every one off. We're still in the winter and our first instinct is to open the refrigerator and opt for something hardy and comforting. This leads to impulsive choices and we want every one to begin to think about their options before diving head-first into carb-heavy, high sugar, inflammation-causing and energy-depriving foods. There is nothing wrong with some pizza or brownies. But we really want you to think about balance and moderation. What we feed our bodies is so much more important than we often think about. 80% of how we LOOK and feel comes from our diet. That alone is a great reason to clean it up, and keep it clean! The end goal in every challenge is to FEEL good. What could possibly contribute more than a diet high in nutritious, quality food that is working for you? foods with added sugar, fried foods, processed meats and foods, foods with preservatives and any artificial sweeteners. dairy (especially processed and pasteurized diary. Raw butter and whole fat greek yogurt are better options), grains (not forever. for a month! Grains are great but they often are a challenge to digest and spike your blood sugar. Give them a little rest or modify them in your diet and see how you feel), alcohol (I know, this sounds so hard. Don't completely cut it out if you're not ready or it doesn't fit your lifestyle. But modification is key and opt for red wine or simple drinks without added sugar, and keep it at a maximum of 4 drinks per week), caffeine (again, I KNOW. This is so hard at first. You don't have to completely cut caffeine, we aren't that crazy. But try to modify your intake to 8oz a day and see how you feel!). greens, avocado, eggs, berries, walnuts and almonds, citrus fruits, beets, lentils, sweet potatoes, extra virgin olive oil (GOOD fat), fish (wild caught preferably), grass-fed chicken and turkey, dark chocolate, squashes, brussels sprouts, brown rice (this is a grain but a gluten free, non-processed option), and quinoa. Any vegetables and fruit, especially those in season, should be the bulk of any diet! Drink more water. You know! 2 liters a day, or eight 8 oz glasses! You cannot function optimally (digestive, brain function, and body performance) while dehydrated. This one is really number 1. You can't build a foundation on shaky ground. You have to take care of your self and your spirit. Everything begins in your mind. Your outlook, your perceptions, and your reality is built here. So many of us exhaust ourselves on a regular basis, burning the candle on both ends and not taking time to refill ourselves and tend to our spirit's until we have a break down or get physically ill. Your life is happening right now. Not when it gets warmer, not when the house sells, not when you lose those 5 stubborn pounds; now. Moments are the fabric of your life lived here on earth. Being present and mindful can lead to a huge surge in happiness and and an overall plummet in stress. So where can you start? (Hint; you don't have to buy into anything here, you can access it for free and at all times!). Take time in your day-to-day to sit down and write out important moments or ideas. 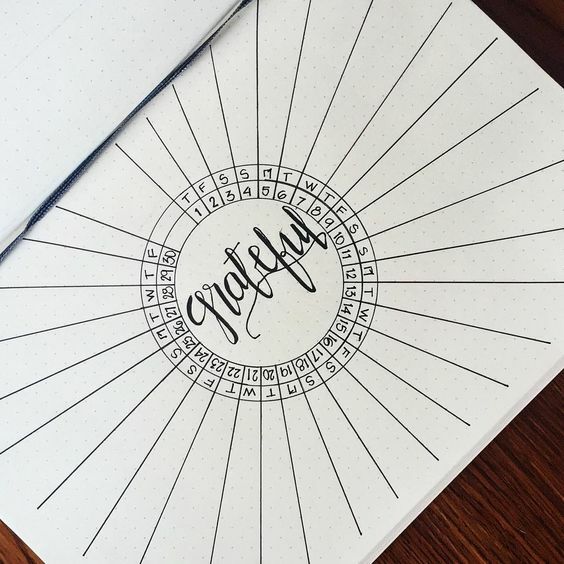 Write small lists of people, places, ideas and things you are grateful for right now. Watch how much this exposes! You may not even realize how much you are grateful for. Take a walk or go for a run. Have your coffee on your porch or find extra time to take your dog outside. When you notice yourself feeling anxiety, take note of where your breath is going when you inhale. If it is in your shoulders and chest, focus on breathing into your diaphragm (your belly). We challenge you to get away from your phone, your computer, your TV and any other electronics for at least 30 minutes a day (being at class counts!). Cooking? Do it with your full self and stop yourself from mind-wandering. Brushing your teeth? Focus fully on each tooth. Change the way you go about your day-to-day tasks. Yes, we are including this in here because it creates SPACE and healthy boundaries. If you don't want to go to a party, or out for drinks with co-workers, or any other invitation that doesn't call to you; say no. Be honest. Clean out one thing each week of January. It could be simple, like your kitchen pantry. But make a point to let go of what you don't need and organize what you've got. Remember: be easy on yourself. Incorporate some of these changes as you go! You don't have to do it all at once. We sincerely hope that you have gotten something out of this post and that you're [killing] your 2018 so far. As the owner of a studio that promotes health and well-being, I have also known the other side of life second-hand through having a sibling who suffered through addiction. 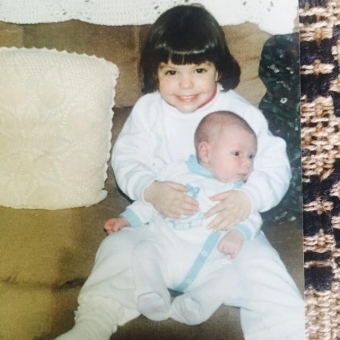 My own little brother passed away two years ago from an accidental overdose. I truly have to step back and say that I never thought addiction could touch me or my family. We grew up in a nice enough neighborhood, our parents did their best to raise us with every thing we needed to succeed. We were close in age and had a bond only siblings understand, made up of inside jokes, a deep understanding of one another's history, a love for our family dogs, and jokes about our parent's only each other would understand (because only we shared the same mom and dad). It was hard for me to grasp that my younger brother, who was an all-star baseball player (a left-handed pitcher) and a sweet, kind, loving soul was depressed and anxious. When he didn't feel he had anywhere else to turn, he was convinced he could aid his bouts of depression on his own by taking pain medicine. When we found out, my brother went away to get clean and heal from his dependence. He knew he wanted to be stripped of any substance and take on a new reality again, one without substances and one with meaning. Unfortunately, days after returning home from his time away, he relapsed. Unexpectedly and incredibly sudden, he overdosed when no one was home. The entirety of my brother's addiction was only about 8 months from the time he tried self-medicating to the time he passed away. The abruptness of this addiction is why it can be very hard to detect in loved ones. We also have the tendency to tell ourselves that something like THAT could never happen to US. Please believe me when I say that addiction is the worst stigma. Once you understand that beyond our income level, our education level, our appearances; we are all just human. We are imperfect, we are chemically balanced and imbalanced, and we are susceptible to slipping up, whatever that may mean to you. It is so important to be open to conversing with those we love, and to guiding those who need us toward healthy and constructive remedies. Anyone who has attempted to recover from addiction, or who loves someone in recovery, knows how difficult the process is. In fact, the National Institute on Drug Abuse (NIDA) estimates that between 40%-60% of people in addiction treatment relapse, though the chance of relapse drops to less than 15% after five years of sobriety. We also know that stress is a common trigger for relapse. That’s why people in recovery should devote time to their physical and mental fitness and maintain an all-around healthy routine to remain in recovery for the long term. Achieving and maintaining recovery do not happen on their own. People who want to stay in recovery need to work every day to lead a sober life full of positive relationships and healthy choices that include proper nutrition, rest, exercise, and stress management. Stress affects your entire body, and stress and anxiety lead to depression, substance abuse, and relapse. Safeguarding against stress and finding coping techniques remain important for anyone in recovery, regardless of how long he has been sober, to prevent a relapse. That’s why finding ways to relax, recharge, and escape stress is vital to recovery. Studies show that any amount of exercise can benefit addicts and people in recovery, and exercise has therapeutic effects for women and men. In fact, exercising regularly is one of the best ways to manage stress because it relieves both physical and mental stress. Specifically, exercise helps people avoid relapse, as it “is effective at reducing drug self-administration when initiated only after regular patterns of drug intake have been established – a period of time analogous to that experienced by clinical populations undergoing formal treatment.” Thus, exercise is an effective preventative and treatment intervention for people who struggle with substance use and abuse. The research also shows that people in recovery should pursue aerobic exercise. To maximize the benefits of aerobic exercise for your recovery, use large muscle groups repetitively three to five days for 30-60 minutes weekly. It helps if you find ways to enjoy the exercise because you will be more likely to stick to it and, in turn, to your path to recovery. Group exercise, as opposed to exercising alone at the gym or in your house, is great in the way that it keeps you accountable. You're scheduled for a class at a certain time with a group of people who are ALL working toward one overall common goal: to stay healthy. It also is a motivating environment when you're among a group of people and you can feel their energy and push others around you. If you combine aerobic exercise with a natural setting, you will improve your physical and mental health simultaneously. Being in nature increases your vitamin D intake and improves your sleep quality. Exposure to natural sunlight regulates your circadian rhythm and improves your sleep patterns. Better yet, proper sleep reduces your symptoms of stress: surveys show that adults who fail to get eight hours of sleep nightly have higher stress levels than those who sleep at least eight hours a night. It also is easier for people to sleep when they have less stress because their minds do not race as much. Working out in nature or in a group setting is a great way to work toward healthier habits and heal yourself, mind and body, to stay as mentally well as can be. A special thanks to Constance for this insightful advice. To those who may know someone who could potentially seek out addiction, or those who may struggle through addiction, there is nothing more powerful than talking and awareness. Being there for those you love, without judgement, is essential to the health and well-being to all of us. When it comes to ways to ensure that your workouts are effective and you're actually seeing results, a lot more depends on what goes INTO your body. Leigh says that because she is so active and a lot of her workouts involve strength training, teaching spin classes and working with her clients one-on-one, she doesn't play around with hydration. Leigh drinks ONE gallon of water every day. That's a lot of water. A rule of thumb is to drink HALF of your body weight in ounces, every day. For instance 140lb = 70 oz of water. That's about 2.5 liters! Leigh also likes to box up HALF of her meal when she eats out, so that she can save it for another time. The American serving size is way too large, and we don't really need all of that food in one sitting. If you box it up before you dig in, it's out of sight- out of mind. Megan drinks a coconut water pre and post workout to stay on top of hydration with an added electrolyte boost! "I try to substitute zoodles for regular pasta whenever possible! ', says Megan about her favorite dietary trick. She still makes heavenly meals, just without all of the extra carbs! 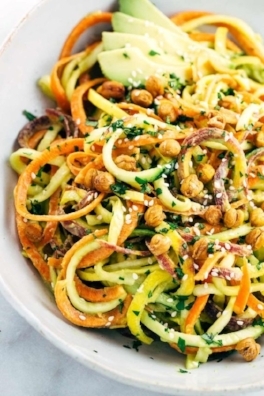 You can use a spiralizer for this easy trick, and you can do it with almost ANY veggie! Juliet drinks a protein smoothie each morning to begin her day on a full tummy. She drinks 1 scoop of whey protein with a banana and a handful of spinach and almond milk. Very simple + delicious! 3 times every day Juliet takes a fish oil tablet for their omega 3 properties (metabolism benefits, skin and hair benefits, heart-health and immune system boost!). Sharne swaps regular milk for unsweetened vanilla almond milk to eliminate too much dairy, but still get plenty of calcium! "I drink green tea (decaf) at least 2 times a day, no exceptions! ", says Sharne. Sharne doesn't drink coffee, in spite of her CRAZY regular schedule which usually includes anywhere from 3-6 HIGH energy classes she teaches every. single. day (spin, bootcamp, tred-and-shred, etc...). She has never been a big caffeine-fiend but what she does enjoy is the benefits of a antioxidant-packed green tea regularly. And there you have it! Our instructors are active, strong and balanced, so we wanted to ask them for their advice as we make our way into the Holiday season. When it's time to RELAX + recover your body, you know. Here are my favorite ways to unwind and relieve my muscles from my workouts. I have taught a lot of classes since the opening of Chestnut Hill Cycle Fitness, and there have been times where I wasn't sure how much more my body could physically take before an injury occurred or I just couldn't take the pain of tight and over-worked muscles any longer. As a fitness professional, I would never recommend to a single person that you should work out multiple times a week without rest days, or, at least designated recovery time set aside. It's more than the risk of injury that increases without recovery time, it is the sole fact that you WILL plateau and you WON'T see the results you want if your body has no time to re-build. You should not live your day-to-day life in any kind of consistent pain from your workouts. If your hips, lower back, feet or knees HURT, you must recover and take care of your body. There will be no longevity in your active lifestyle if you do not recover. Foam rolling and stretching both go a LONG way in improving the quality of your tissue and muscles. When you are constantly contracting your muscles and shortening muscle tissue in your workouts (strength training, barre, spin and running), you must stretch and lengthen your muscle fibers in order to better repair them. Recovery time can increase and injury likelihood can too without stretching in between your workouts. The foam roller is my BEST friend when it comes to the principle of recovery. Foam rolling is a form of self-myofascial release, or the breaking-up of tissue and adhesion's caused by exercise. This speeds up recovery from your workouts by repairing your muscle and connective tissue quicker, and aiding in overall better performance. Rolling your body out with the foam roller also increases circulation to your body part being rolled out, and is said to break up the appearance of cellulite. TWO BIRDS. One stone. Boom. PS. We now have foam rollers at the studio for you to use post-spin or post-barre class. Ask us about some of the best positions and moves for your muscle recovery! In "My Big Fat Greek Wedding", the father of the bride swears that "Windex cures everything" and I feel the same way about Epsom Salts. Tired? Soak in the salts. Sore? Soak in the salts. Congested? 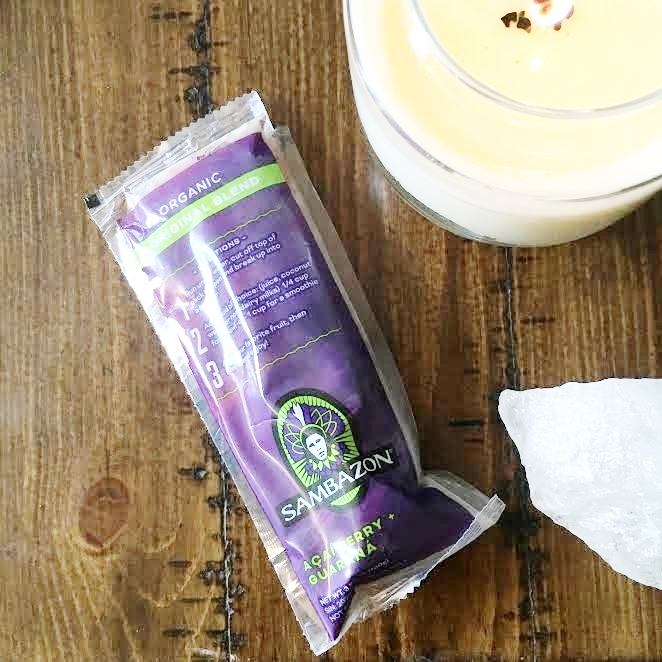 SOAK in the salts (and add in some eucalyptus essential oil, duh!). But really: aside from the fact that taking a bath in general is just relaxing and lovely, when you add in these salts they are cleansing and have a way of aiding recovery by absorption through our skin. Epsom salt is really magnesium sulfate, which is a naturally occurring mineral that most of our diets are deficient in. Magnesium aids in the reduction of inflammation and plays an important role in neuromuscular signals and muscle contractions, and in other words, relaxes your muscles. The sulfate present in this mineral helps flush the body of toxins, and your skin will feel soft and recovered as well! Give it a try: my favorite is this kind, purchased on Amazon and is an American company based in San Francisco! This is my all-time favorite supplement, EVER. Why? Because it 100% effects the way that I feel every day and I know that it works the way I want it to in my body. I take this about an hour before bed-time, once a day. One of these pills a day is plenty, and I take mine an hour or so before bed time (or right before dinner so that it can absorb with my food). I purchase the brand shown above, and you can buy it here. I'm just going to rattle off the list of benefits of taking magnesium regularly and how it pertains to better recovery from your workouts. - Aids in relaxation of muscles, and thus allows your body to fully relax (great before bed time). -Relaxes your digestive tract muscles, and therefor helps with smoother digestion (working out with a full-feeling or upset stomach is the worst and kills performance levels). -Aids in anxiety and gives an overall "calm" feeling. (Huge relief for the big day before a race or taking a class you're anticipating). -Because magnesium helps decrease cortisol, the "stress" hormone, it aids in an restful night of sleep, AKA, recovery. Our very own Elise is very pregnant, and still instructing between 4 and 5 Spin Classes a week! At 7 months, Elise tells us why she is still spinning and what this low-impact cardio has done for her pregnancy, and her own well-being. When I found out I was pregnant for the first time, I had a ton of questions for my doctor. After having kept up with spin, both teaching and taking classes, for the past thirty weeks, I can see what she means. It’s widely known that exercise is safe, and even beneficial, for pregnant women, but some workout routines are easier to sustain than others as pregnancy progresses. When it comes to cardiovascular exercise, running started to get uncomfortable after my first trimester, but spinning has been one workout that I found I could stick with, even as my body began to change. Listen to your body. You’re every bit as strong and fit as you were before getting pregnant, but that doesn’t mean your body is working in quite the same way. Organs shift to accommodate your growing baby, and that can make breathing more difficult and second and third positions more uncomfortable. Don’t be afraid to stay seated, even when everyone else is out of the saddle, or slow down your RPMs a bit if you’re feeling breathless. You’re still getting all the essential benefits from your workout, even if you’re not breaking records. Clothing matters. The last thing you want to worry about when you’re trying to lose yourself in a workout is what you’re wearing. Comfortable clothing that accommodates your adorable bump is essential. I love this tank top from Athleta, and Lululemon carries several great options for workout pants (including this pair) that easily stretch to fit your changing body. It’s worth noting that neither of these options is classified as “maternity wear,” so don’t feel limited by clothes marketed exclusively to pregnant women. Any stretchy, high-quality material can be a great fit (pun intended) for working out while pregnant. Look for pants with wide waistbands and tanks with long torsos that can fit over a baby bump without riding up. Hydrate. This one should go without saying, since hydration is important for everyone, not just pregnant women. Still, it’s worth pointing out that water consumption is especially important for pregnant women, as dehydration can cause a number of unhealthy complications. Always keep a full water bottle on your bike during class, and sip water throughout the day before and after a workout, especially during hot weather. “Morning sickness” is a misnomer. Many people were amazed that I could continue to teach early morning classes during my first trimester, when the all-too-common nausea is at its peak. For me, however, the nausea tended to hit the hardest in the evenings- working out at 6am was perfectly fine. Every pregnancy is different (see #1) so figure out what time of day is best for you and find a class that fits your body’s schedule, even if it’s not your typical timeslot. Don’t be afraid to mix it up. CHCF has some of the best spin classes around, but our offerings include much more! Cardiovascular exercise, like spinning or running, has tons of benefits for pregnant women, but weight-bearing exercise that strengthens different muscle groups shouldn’t be counted out. If you’re a fan of our full-body, boot camp, or plyo classes, all are perfectly safe to continue. You may need to modify some of the moves as your pregnancy progresses, particularly when it comes to ab work, so don’t be afraid to speak up if you need an alternative to a certain exercise. We love the idea of a hot, sweaty spin class or a run on a hot summer day...until...we don't. Your skin will thank you for these easy, quick DIY face mists this summer. I have never been a big believer in product as much as I am in what goes in to your body (let thy food be thy medicine-- I could say it a million times over). I've seen these mists make a huge splash in the market of over-priced Sephora-sold products in the past few years. What I didn't think of then, is that by reading the label on the back of the mist...you could concoct your very own. And pretty effortlessly. I'm now a big believer in the mists, as they get sopped up by your skin pretty quickly after a few sprays and I love the way they make my face feel and glow. They're all natural and cruelty free! My preferred potion is one with Peppermint for a cooling sensation and lovely smell, and Rose Hips Oil for soft + supple skin (also a huge ingredient in anti-aging). Here's the FUN part: It's up to you what Essential Oil you want to add! All you need is a spray bottle and you're golden. Have fun with it! Be advised: this bowl FILLS you up! It fills you up in the most satisfying way. You don't feel bloated and exhausted. You feel as though you just filled your body with the cleanest form of fuel. I promise, you'll notice how good you feel after eating this. PREP: Slice the yellow squash into thin slices, then halve them (moons). Add Olive Oil to a pan over medium heat. After 1 minute or so, add minced garlic. Do not turn the heat up, you DON'T want to burn the garlic (it's a fine line, guys). Allow garlic to cook for 2 minutes, stirring lightly. Add the squash and bell pepper to the pan and continue to cook. Increase heat to medium/high. After 5 minutes or so, the squash should look thinner and more transparent. Both of these also produce a ton of water while being sauteed, so after 5 minutes, add the chopped kale and stir. (**If this mixture gets too dry, turn heat to medium low. Add water, or vegetable stock to continue to cook down). 3-4 minutes after adding the kale, combine the cooked quinoa into the pan. Stir. Season the quinoa + veggie mixture with salt + pepper as needed. Add spiralized squash alongside of bowl. Add sliced avocado along side. Pour roasted pepitas over your bowl. Add chopped parsley. Pour the dressing over your bowl as desired. This recipe has lots of vitamins + minerals from the produce, nuts and quinoa. The quinoa alone gives this dish protein and lots of fiber! The avocado provides a great source of mono-saturated fats (skin healthy food!). To top it off, this dish just happens to be 100% plant-based, vegan + gluten free. Let us know how you like it if you try it. sweat it out under the fading sun, work that core and stretch. it. out. oh, and don't forget to grab a fresh cocktail afterwards. you earned that! We are just so excited to bring you classes that are different. Classes that celebrate the warm weather and the beauty of the outdoors; with the same energy of our intense spin class. It's an experience that just can't be duplicated. When I have time in the morning and I'm not teaching or rushing out the door for something, I take my time with breakfast. These pancakes, however, do not require much time to make- BUT you will want to take your time to really enjoy the flavor + heartiness in these. They're heaven in every bite. I made these on the day of the snow storm, with a big cup of coffee + almond milk. Perfect. These are fabulous if you're gluten free or just prefer to eat minimal flour (they're low carb). Mash the peeled banana at the bottom of a mixing bowl with a fork. Add the almond flour, eggs, water, and sea salt to the banana mash. Whisk it together until blended. Add chocolate chips + stir. Drop tbsp sized amount of mixture onto hot pain. Serve with light maple syrup drizzle! why acai berry? : It's more than the pretty purple color. Acai has been known as a "Super Food" in the mainstream for some time now. It grows in South and Central America and is native to swampy environments. Brazilians have been consuming this berry for decades and claim it has great benefits for the skin and digestive health. Why? Acai packs twice the amount of antioxidants found in blueberries. With it's high level of B vitamins, healthy fat (omega 3's and 6's), and LOW amount of sugar, these berries are an ideal staple in any diet. HIGH in anthocyanins, polyphenols, vitamins A, C and E, it's said that Acai is a major aging defense. These berries are also high in dietary fiber and great to boost energy without the major crash afterwards. Yes. Yes, it tastes like chocolate. This is exactly why it's fantastic in smoothies and Acai bowls. It tastes rich and is a great BASE to add other fruits and toppings to, with a smooth consistency. I personally have been consuming it every day. Can't stop, won't stop. Like a bowl of cereal, with an even better substitute for milk. This is a nutrient-dense meal and is best eaten early in the day (for breakfast, or as your first meal of the day) so that your body gets RIGHT to digesting it. It's also SUPER quick and simple to make. THIS stuff is gold. You can purchase it at Giant in the frozen section of the Organic Aisle OR at the lovely Weaver's Way Co-Op in their frozen fruit section. $6.99 per package of 4 servings. step 1: Un-thaw your packet of frozen Acai Berry Mix by placing it under lukewarm running water for 20 seconds. step 3: Add almond milk + drop of honey into blender. BLEND. step 4: pour into bowl, mug, to-go container, ANYTHING. step 5: top with more fruit, nuts, granola, bee pollen, seeds, you get it. MUCH LOVE & enjoy this recipe! Things just FEEL better when you're treating your body right. At least that's my M.O. I notice a big difference in the way that my body feels after eating well, particularly. When I was working from an office that had a snack machine, I would invest in a GIANT, soy-based protein bar everyday and about 3 bags of Pirate Booty. I was hungry, and even these snacks didn't satiate me. 700+ calories later, and I felt tired, groggy, and still hungry. I'm no nutritionist, but I've gotten good at knowing what works for ME and my own body. One thing I know for sure is that when I feed myself high-quality (aka not processed), mostly plant-based foods; I feel amazing. I sleep better. I have more energy throughout my days. My skin glows. My nails and hair grow like weeds. I don't carry excess water weight and feel bloated. It all SOUNDS great right? I am committed to bringing you recipes + daily inspirations, along with the instructors here at Cycle Fitness who will also be contributing their own material. They're easy, and they don't require baking of any kind. For a quick snack on-the-go, they're perfect. These bites are clean, vegan & GF, and taste HEAVENLY. MIX ALL OF THE INGREDIENTS IN A BOWL. SET IN THE REFRIGERATOR FOR 5 MINUTES. TAKE OUT, SPOON THE MIXTURE INTO BALLS (ABOUT 1.5 INCHES IN DIAMETER). ENJOY! TRY IT. ENJOY IT. TELL US WHAT YOU THINK. Most Americans have absolutely no idea where their food comes from, where their meat was sourced from, and where their produce was grown. We have such a disconnect with the food we feed ourselves; the trusty fuel we put into our bodies and trust that it's safe, it's good for our kids, it's clean. We shop organic to give ourselves a Peace of Mind, and we trust that the standards of 'Organic' set by the USDA are free of harmful chemicals and naturally grown and raised. But buying Organic still doesn't cut down on the cost of travel and shipment of your food. Today, in the US, the average meal travels 1500 miles from farm to plate (insert shocked face emoji). The cause for concern with this, as you may be wondering, is the fossil fuel consumption (NON-renewable resource) and the carbon dioxide emissions (major pollutant to our atmosphere) are all increased at staggering amounts just from importing oranges to Los Angeles from New Zealand. It's unneeded and the connection is lost in an intimate relationship as old as humans: YOU and YOUR FOOD. Today I had the pleasure of hanging with my friend Chris Mattingly, owner of a small and local business called Backyard Eats . We talked about his business, which designs and installs custom gardens into your very own yard, and maintains them for you too! Having the ability to watch your food grow, to harvest your food (pick it) and to cook with your food is the ultimate way to know where it comes from and appreciate it's bounty. Chris is incredibly knowledgeable, focused, creative and perhaps most importantly: he has a hell of a green thumb (a civil engineer with a focus on soil and environmental engineering). Backyard Eats is located right here in Chestnut Hill, and Chris works with customers within the area to design their garden for their personal needs or just maintain a garden you've already got growin'. We plucked fresh Lacinato (dinosaur) kale from the cold ground in Chris' front yard (pictured above). After we picked the kale, we rinsed it in a colander and gave it a few spins in a salad spinner (patting it dry with a paper towel works, too!). Then I thanked Chris for his kindness in sharing, and ran home with my fresh kale. My recipe is below for you to enjoy, and so are it's health benefits! KALE. 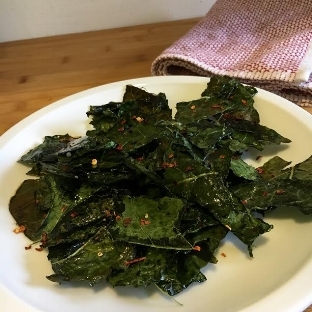 12 Leafs, de-stemmed and torn to bite size pieces. Get it organic ($2.99 a bunch at most stores) and try to get it LOCAL. Olive Oil. Preferably Extra Virgin! One tablespoon. You don't need much since Kale is so thin and doesn't absorb much. Just a light coating will crisp these babies up. Combine ingredients in a mixing bowl and make sure that the Kale is evenly coated. Then spread it out on a baking sheet! I personally used a large glass baking dish and had no problems with sticking. BAKE for 10-12 minutes. REMOVE from oven and let sit for 3 minutes before removing. IT'S OBVIOUS WHY THIS SUPERFOOD GAINED GREAT POPULARITY YEARS AGO.